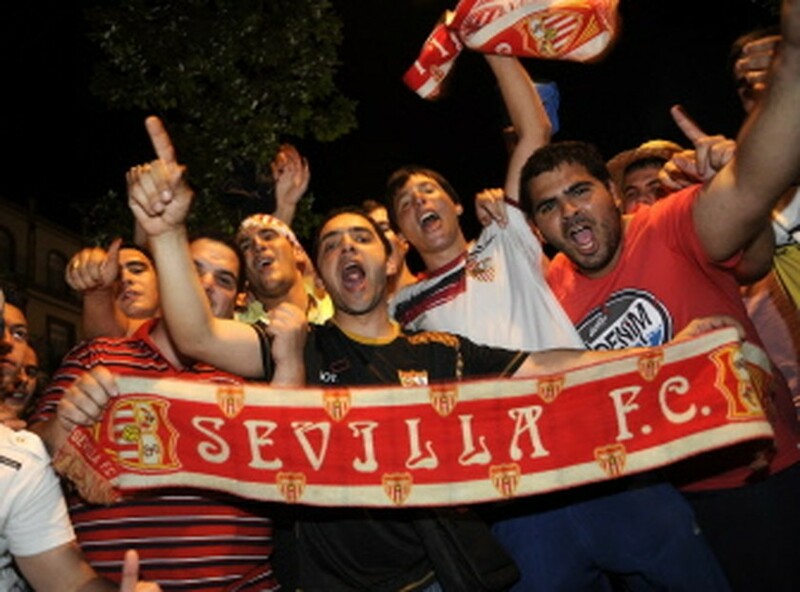 BARCELONA, Spain, May 19, 2010 (AFP) - FC Sevilla prevented Atletico Madrid from celebrating a cup double on Wednesday as they beat the recently-crowned Europa League champions 2-0 to take the King's Cup here for the fifth time in their history and second in four years. Sevilla - who took the fourth and final Champions League place in the last minutes of the final match of the league season - lifted the Cup thanks to a fifth minute goal by diminutive wing Diego Capel and a second in time added on by Jesus Navas. Sevilla captain Andres Palop, who made several good saves during the match, said it was mission achieved for the season. "It was a difficult and extraordinary final," he said. "This is what we wanted, qualify for the Champions League and win the King's Cup. We are very happy." Atletico coach Quique Sanchez Flores was proud of his side's efforts. "My players put in an impressive effort," he said. "They gave everything they had, but congratulations nevertheless to Sevilla." Capel's opener was a delight as he picked up Navas's blocked effort and fired an unstoppable shot into the Atletico net from just outside the penalty area. Atletico went agonisingly close to levelling the match in the 11th minute as first Argentinian international striker Sergio Aguero had his shot repelled and his strike partner Diego Forlan also saw his follow up effort saved. Forlan - scorer of both his side's goals in the 2-1 victory over Fulham in the Europa League final - was to be a constant threat to Sevilla's defence, which was well marshalled by the French duo of Julien Escude and Sebastien Squillaci. The Uruguayan striker forced Palop into tipping the ball onto the post in the 43rd minute and then the Sevilla captain had to react smartly to turn away another Forlan strike 13 miunutes from time for a corner. Sevilla - who knocked out holders Barcelona earlier in the competition - were living dangerously and failed to take the few chances that came their way, most notably when Alvaro Negredo failed to score when just one on one with the Atletico 'keeper David de Gea. However, they settled the matter through Navas, who showed cooler temperament in the same situation as Negredo and despite being driven wider than he would have liked by De Gea he still managed to score.